What a night at Tim Hortons Field! It's official, Forge FC is Hamilton's new professional soccer club, playing in the Canadian Premier League kicking off in Spring 2019. RE-LIVE THE EVENING | Miss out on the festivities? Didn't catch the unveiling? Click here to follow the timeline of events on our Twitter account. 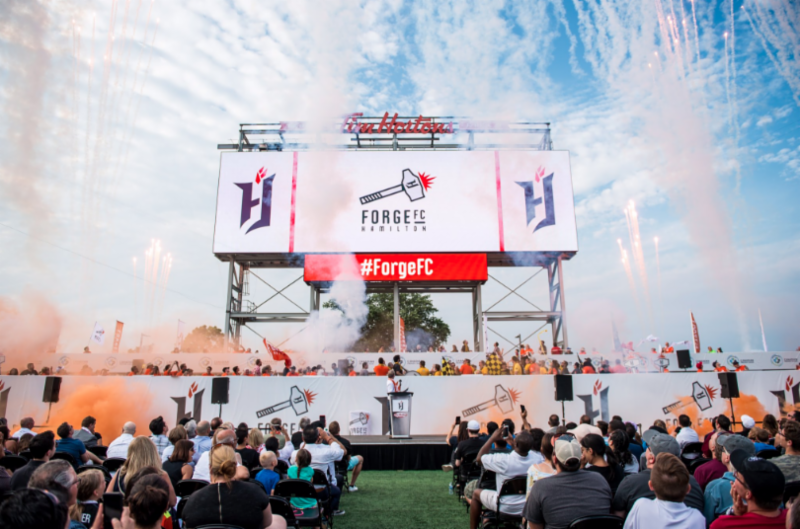 BECOME A FORGE FC CO-FOUNDER TODAY! It's the one-time opportunity to become a Co-Founder season seat member in the inaugural year of Forge FC, and select your seats first before anyone else! 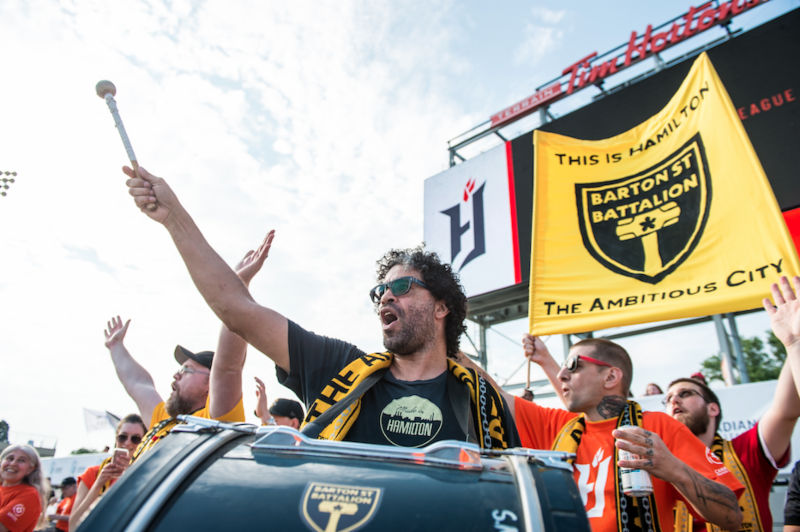 Co-Founders receive exclusive benefits including a personalized scarf, a spot on the membership board, voting rights and fan experiences no one else has access to! So what are you waiting for? Get in line now! PLACE A $50 REFUNDABLE DEPOSIT | Click here to secure your spot at the front of the line and get first access to seats, plus other exclusive benefits. A Forge FC soccer match at Tim Hortons Field is more than just corner kicks and beautiful goals! 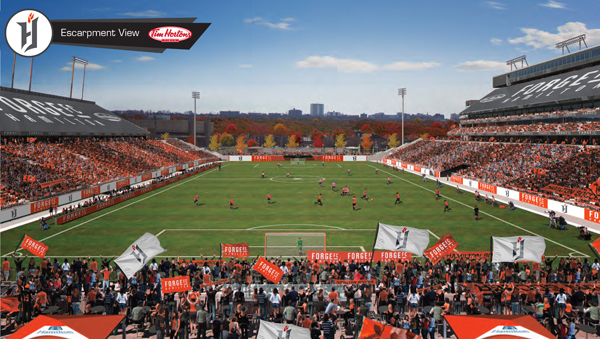 Learn more about the Forge FC experience, coming to Tim Hortons Field in Spring 2019. LEARN MORE ABOUT THE TIM HORTONS FIELD EXPERIENCE | Immerse yourself in the soccer experience at Tim Hortons Field! Immerse yourself in the story behind Forge FC. The hammer strikes! Sparks fly! Passions ignite! EXPLORE THE BRAND LOOKBOOK | Click here for the inspiration behind the colours, the logo and the name.